The Disney’s Hollywood Studios parking lot just got a lot more character! Each section of the lot has been renamed after beloved characters guests can encounter on their adventures in the park: Mickey, Minnie, Jessie, Buzz, Olaf and BB-8. 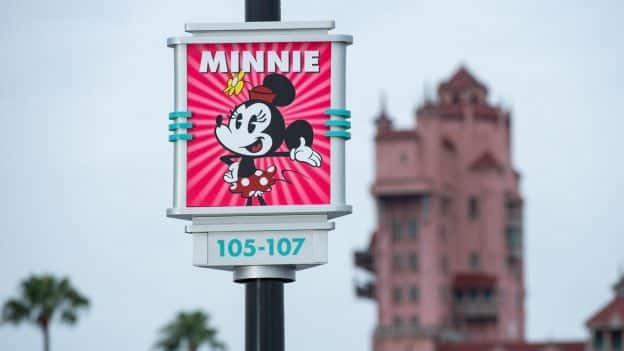 Two additional bus loops, just steps away from the main entrance, also have been added to serve guests arriving via Disney resort bus transportation. These milestones are an important step in the multi-phased transformation of the guest arrival experience at the park, which began last year with a new entrance allowing guests to enter the park from Osceola Parkway. Construction continues on refreshed parking tram lanes and walkways, additional screening areas and a station for Disney Skyliner. These exciting enhancements set the stage for a historic year at the park, which will include the opening of Star Wars: Galaxy’s Edge and Mickey & Minnie’s Runaway Railway. With the changes, I’m curious as to where the parking for handicapped vehicles will be located now. Are they adding EV Charging stations to the Hollywood Studio’s parking lot? They are available in all the other lots. I am hoping with the upgrade they will be added here too.